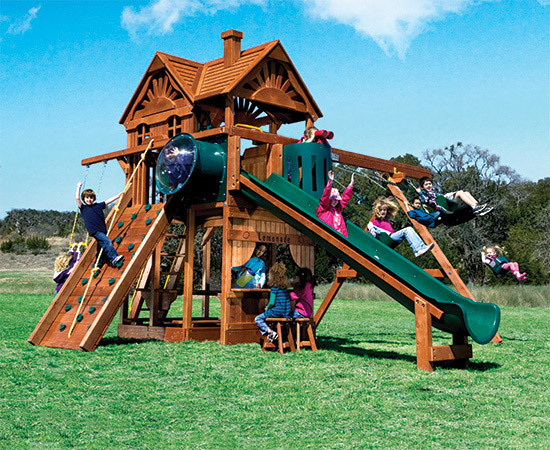 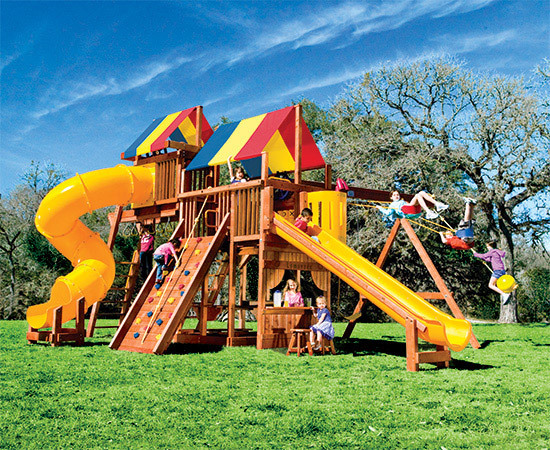 The Monster Clubhouse playset has a 5’10″ deck height, 9.5’ swing beam height and the 11’ Super Scoop Slide with the 5.2’ x 7.8’ deck size. 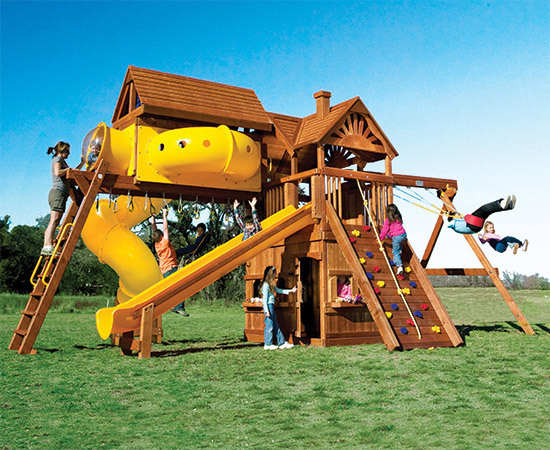 The Monster Series boasts the most unique designs and our 2019 Monster line up stays true as our most unique series, including our ultra unique Monster Huckleberry Hideout playsets. 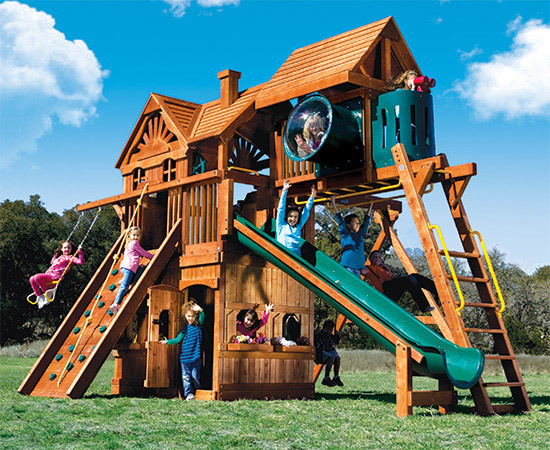 The Monster Clubhouse features endless customizable possibilities with its modular and fully expandable design! 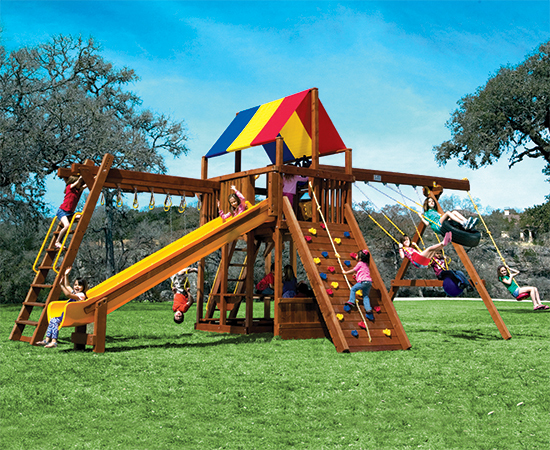 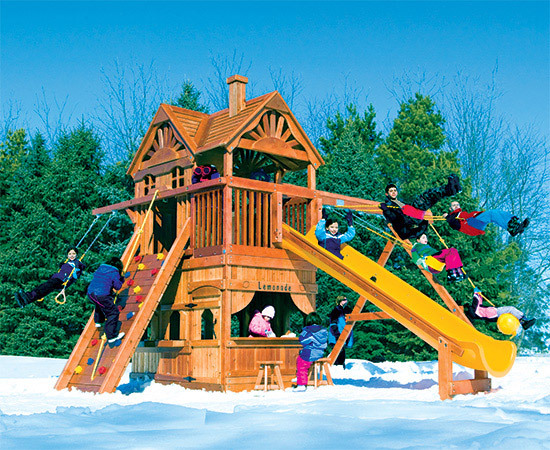 The Huckleberry Hideout Pkg II Classic has a cozy Lower-Level Playhouse with Playhouse Door and a Deluxe Huckleberry Wood Roof with Chimney on this Clubhouse-style swing set. 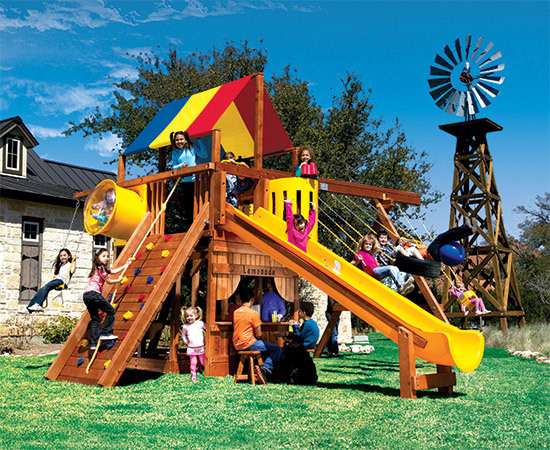 Serve lemonade at the built-in Lemonade Stand, or swing into the sky on the 4 Position Swing Beam, complete with Sling Swings and a Knotted Rope with Buoy Ball.